I hate shopping for skin products, there are so many choices. Then, having to find something natural means standing in the skin section reading labels forever, and I just don't have that kind of time. Probably why I look for these things online. 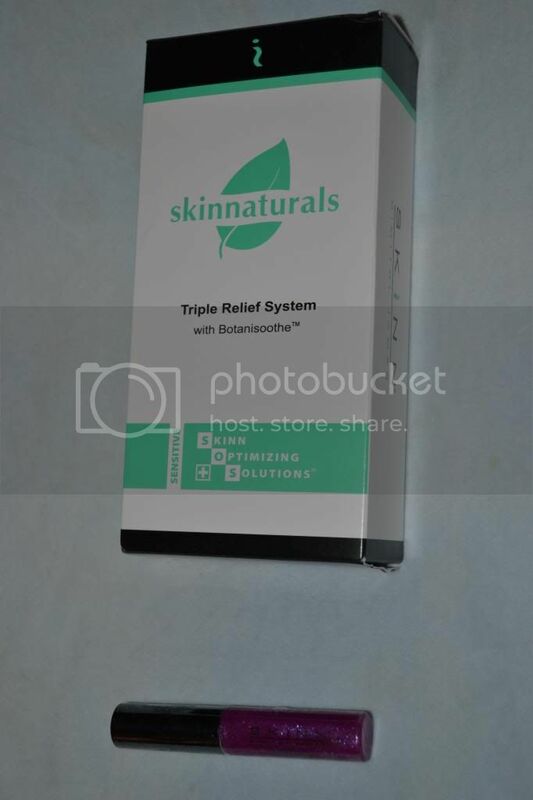 Mommy Moments with Abby's review of Skinnaturals Triple Relief System: First thing I noticed was the nice clean smell, nothing to clash with my normal rose oil or rose based perfumes! I personally like 3 step systems because their aren't too many steps wasting my time, but it is pulled apart enough where I can use more of something when my skin calls for it. I've noticed that sometimes my skin changes, during different times of the month and during different seasons during the year. So, sometimes, my skin needs more moisture and sometimes less. The pumps were very easy to use and the products didn't annoy my skin. 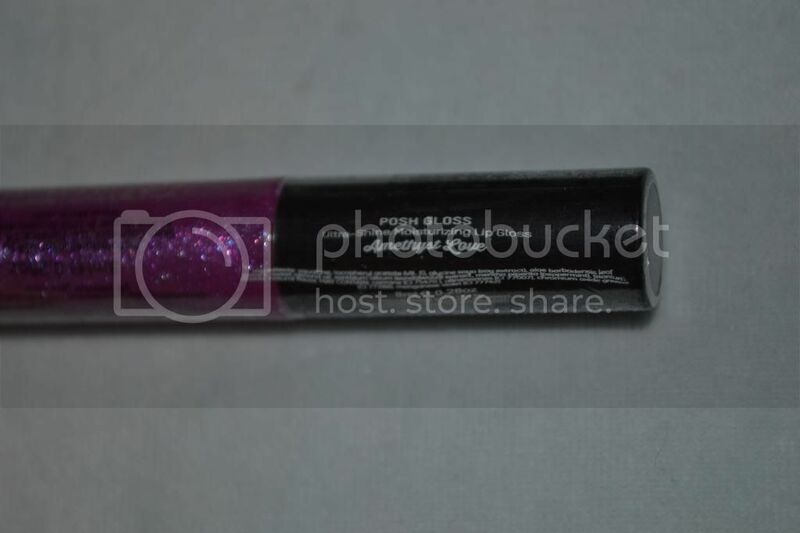 I was really excited to see the lip gloss. I went on and gave almost a berry stain look to my lips. The glimmer flakes added a nice sparkle that seems perfect for the holiday season! Who doesn't want a little shimmer while they sing carols? If you like to use natural products and to have control over how much of which you use like I do check them out. Paraben free, sulfate free, gluten free. Sans synthetic dyes, petrochemicals or genetically modified organisms. The Skinnaturals line from Skinn Cosmetics gives a whole new meaning to natural skincare. The three-part collection will return your skin to its pure state as you wave goodbye to irritation, redness and wrinkles. This natural, sulfate-free, detergent-free, mild and creamy cleanser is filled with botanical extracts and pre-probiotics to help calm and soothe sensitive skin. The formula gently refreshes and cleans without drying. Safflower oleosomes prolong the delivery of actives to the skin while white tea extract reduces inflammation that causes aging and wrinkles. Cucumber extract and Botanisoothe™ seal the deal, leaving your skin optimally cleansed, appeased and calm. Retail price: $24.50 for 4 oz. A highly concentrated solution that provides immediate relief of angry redness and irritation plus long-term soothing and anti-aging benefits. The serum lends itself to your need for immediate satisfaction and lasting results, even for the most sensitive skin. The formula filled with glycolipids, Botanisoothe™, licorice root extract and white tea extract reveals the following benefits: reduced inflammation and wrinkles, a reestablished skin barrier and a nourished surface. Retail price: $36.50 for 1 oz. An amazingly powerful yet gentle natural moisturizer with Botanisoothe™ that acts immediately to help sooth and reduce irritation while offering long-term benefits. The moisturizer utilizes Vitamin F, wood and plant extract and white tea extract to support healthy epidermal structure and normal barrier function. Anti-redness, anti-wrinkle, anti-aging and anti-damage, all in one elegant formulation that will complete the process and leave your skin radiant, ageless and natural. Retail price: $34.50 for 1.7 oz. Purely inspired, the Skinnaturals line is a sensitive-skin skincare breakthrough of natural proportions. The kit of three retails for $49.50. The Skinnaturals line is available for purchase individually and as a full collection at www.skinn.com and via ShopNBC.